I had somehow never heard Ian Shaw lovingly craft all those Hispanic accents and cathtilian lithps of Sondheim's The Boy from... before the glorious Welsh pay-off; it's a natural, obvious fit for him. And then the audience was totally drawn in, and gave him a complete pindrop silence for Rainbow Sleeves. Of Liane Carroll's solo numbers, the poise and balance and natural flow of Hoagy Carmichael's Memphis in June stay in the mind. And as for the momentum and the joy of the virtuoso, devil-may-care, double-tune superimposition of Pennies from Heaven and I Can't Give You Anything But Love... you had to be there. And even though I did allow myself the occasional decennial (or should that be decent) reverie... these are performers who NEVER disappoint, and I'm glad I was. 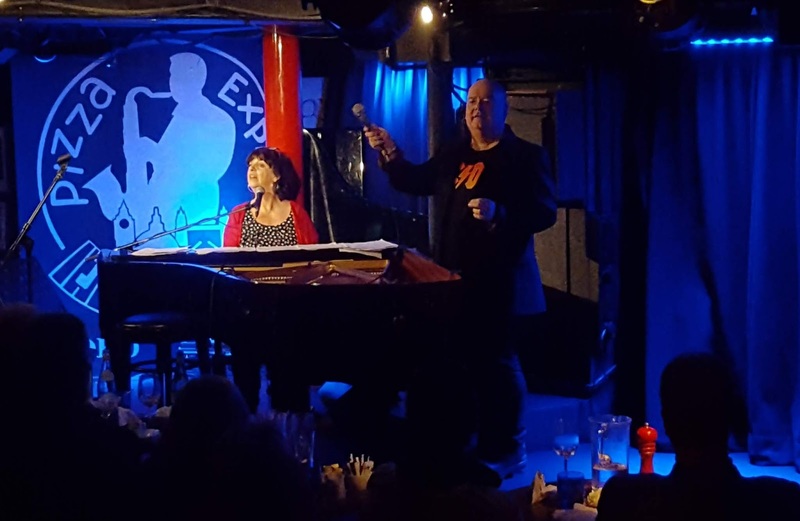 Ian Shaw & Friends continues each evening at Pizza Express until 27 January, with guests Gwyneth Herbert, Krystle Warren, Jo Caulfield, Earl Okin, Iain Ballamy, Jamie Safir, Tom Smith’s Queertet, Guy Barker, Barry Green, Mick Hutton, Dave Ohm, Sara Dowling and Claire Martin.